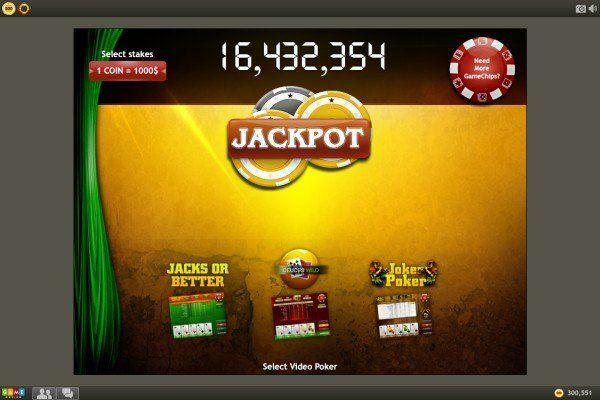 Video Poker – game rules. 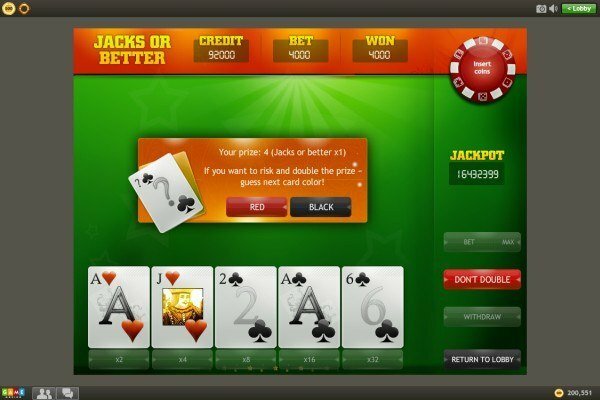 Il gioco – see how to play Video Poker on GameDesire! Il più emozionante gioco di carte on-line! You can choose one of three kinds of poker. The table showing the winning sequences is in the middle of the screen. Jacks or better – game played with 52 cards. Minimum winning sequence is a pair of jacks. Deuces wild - game played with 52 cards. All deuces are special cards that can be played as any other card. Minimum winning sequence is any three of kind figures. Joker poker - game played with 52 cards and one joker as the special card. The joker can be played as any other card. Minimum winning sequence is a pair of aces. In the top of the screen the following information is available: credit available for play (taken automatically); amount of virtual betting money and amount of last win. 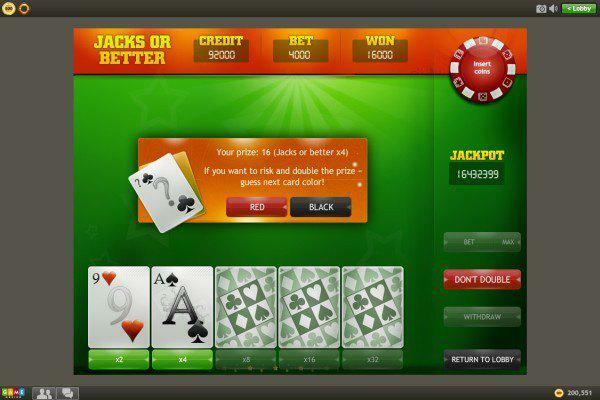 Bet – set the stake for one game by clicking the button one or more times. Maximum Bet – by clicking this button you bet the maximum stake for game. Deal – after clicking this button your cards will be dealt. Cashout – after clicking this button, all virtual money in the game is sent to the player's account. In the course of the game, you can change the selected cards using the “Drop” button. All cards or only chosen ones will be changed. By clicking the “Hold” button you can prevent the card from being changed. The goal of the game is to achieve the best premium sequence of 5 cards. If a sequence fulfills the winning criterion (from the table), you can try to multiply the prize amount won. To do so you must click the red or black button, guessing the color of the next card to drop. Any correct bet doubles your prize. 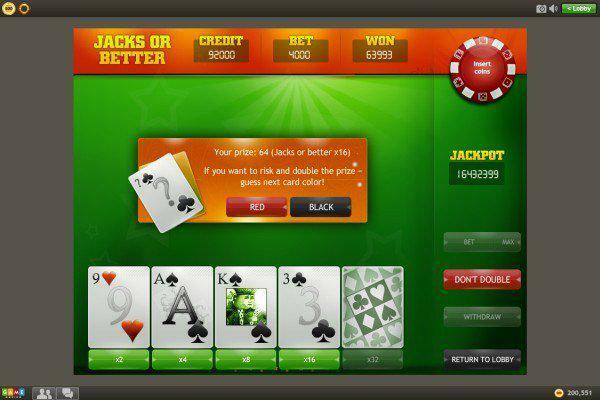 Maximum number of betting in one winning sequence is 5 times and it can enlarge the original prize 32 times. In the case of an incorrect decision, selecting a wrong suit, all winnings are lost. If you do not want to risk, you can click “don't double”. The prize won will be transferred to your account. The doubling action does not occur when you get a “Mini Jackpot” sequence. © GameDesire Ltd. 2019 Tutti i diritti riservati. Si unisca a milioni di giocatori! Giochi e provi il gusto della vittoria!